Cleanup times are ”relatively long"
A common theme: "If you have a water contamination problem, you have a soil contamination problem". An LNAPL conceptual site model (LCSM) should address where is the LNAPL, what soil does it reside in, is the LNAPL mass stable, and is it transmissive before implementing more aggressive remedial action. HRSC or better yet, "scale appropriate" measurements of soil , water, and contaminants are needed for accurate conceptual site model before expending a lot resources on cleanup technologies or approaches. Typically, long-screen monitoring wells with their associated filter packs do not provide sufficient resolution to separate different soil permeabilities and accurately delineate residual contaminant mass. HRSC is not one tool or methodology but a scientific approach employing scale appropriate measurements of soil (both consolidated and unconsolidated), water, vapor, and contaminants. The industry and states need flexibility and mechanisms to allow for innovation. Regulations, funding mechanisms, and local procedures should incorporate flexibility to allow new and innovative approaches to be applied on the remaining difficult cases. Natural Source Zone Depletion (NSZD) can generate mass reduction rates comparable to many engineered remediation methods. Characterization and performance monitoring should include the assessment of NSZD mass degradation rates and be compared to traditional remediation methods. How Will Climate Change Impact Your Remediation Approach in 2018? Climate Change and Sea Level Change. Two controversial topics for some, but well-documented science. I had an opportunity to read "The Water Will Come" by Jeff Goodell, one of Booklist's Top 10 Science Books of 2017, on an extended plane trip during this holiday season. 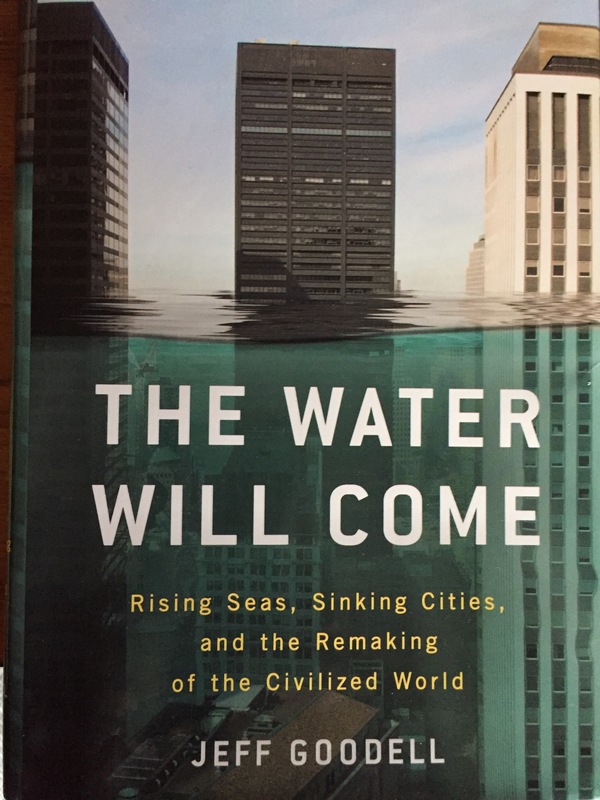 Goodell presents a well-researched overview of the impact of climate change and the associated changes in sea level on countries, populations, infrastructure, and politics. While the geopolitical challenges of climate change are well beyond the scope of most of our local environmental remediation efforts, Goodell did prompt me to reflect on a few observations we've made in the field and the potential impacts to come. 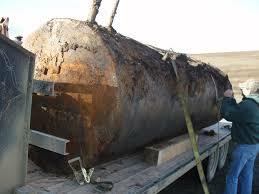 Is your remediation site in a low lying or coastal area? US EPA confirmed Hurricane Harvey impacted 13 of 41 of the US’s most-toxic waste sites in the Houston area in 2017. Goodell points out that the "Runit Dome, a concrete bunker on Enewetak Atoll where the US military buried 111,000 cubic yards of radioactive debris left behind after then nuclear tests of the Cold War. It sits right at sea level. "It is already cracked, and as the waters rise, it will be submerged, creating a problem of nuclear waste in adjoining waters." Is the infrastructure that supports your remediation systems or access to your facilities at risk in high-water conditions? The reactor meltdowns at Fukushima, Japan resulted from the failure of the cooling water systems in turn caused by the loss of power sources in extremely high water conditions precipitated by the tsunami and storm surge. Critical infrastructure and no doubt remediation systems failed in New York and New Jersey as a result of Super Storm Sandy. The Navy base at Norfolk, VA, the largest in the U.S., anticipates a significant impact to operations (and environmental cleanup) by 2020. How have changes in groundwater levels affected your long-term remediation systems? Even the performance of remedial systems sited a distance from low lying areas are often highly dependent on the accurate placement of system hardware in relationship to groundwater levels. Most readily affected are systems that rely on groundwater control through pumping or multiple phase extraction. Changing storm patterns result in often significant changes in groundwater level potentially with costly impact on the effectiveness of installed remediation systems. 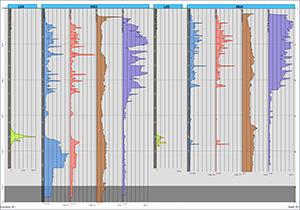 So, you’ve decided that a high-resolution 3D assessment of your site would help clear up the uncertainty in where any residual product is hiding and what its spatial relationship is to the soil permeability and the installed monitoring and recovery wells. How do you get started? Multiple organizations including U.S. EPA (www.epa.gov/ust), ASTM International (astm.org), the Interstate Training and Regulatory Council (ITRC.org), the American Petroleum Institute (API.org), the Australian Cooperative Research Centre for Contamination Assessment and Remediation of the Environment (CRCCare.com), and the individual state jurisdictions all have published guidelines for undertaking a systematic assessment of petroleum contaminated sites. Turns out, you probably have a lot of important information readily available to get started. Your key to success going forward will be both a systematic review of where your current LCSM stands to identify data gaps and uncertainties followed by a systematic data collection effort to close those data gaps with multiple lines of evidence. The EPA's Office of Underground Storage Tanks (OUST) reports the number of cases of Leaking Underground Storage Tanks remaining unresolved exceeds 70,000 across the U.S. The EPA data also indicates the average cost of cleanup as US$130,000. As with any data, it's important to look at the distribution of data, not just averages. A vivid (maybe too vivid) example of this “flaw of statistics” is the fact that the average age of diaper wearer is somewhere near middle age, let’s say 45 years old. Drilling down into the data available from individual state UST cleanup funds, we find many examples of cleanup costs exceeding US$1.0M, sometimes with no end in sight. We can reasonably infer from the OUST data that the less complex sites have been resolved at a lower cost of cleanup, leaving the more complex sites yet to be addressed. This begs the question – WHY? COLUMBIA Technologies is pleased to announce our support for the upcoming 24th National Tanks Conference in Denver, CO with two presentations and an exhibit booth. On Sunday, September 15, 2013, our CEO, John Sohl and Vista GeoScience's President, John Fontana, will present a pre-conference workshop Improved In-Situ Remediation using Advanced High Resolution Site Characterization Tools for Remedial Design Characterization and Advanced Injection Technologies from 1:00 - 5:00 PM. On Monday, September 16, 2013, our CEO, John Sohl, will present Improving LUST Management through High Resolution Data on LNAPL and Permeability to Close Those Pesky Sites during the Advanced LNAPL Assessment I session from 1:30 - 3:00 PM. COLUMBIA staff will be present at the 24th National Tanks Conference & Expo and will be pleased to meet you at Booth 219. If you would like to organize a meeting in advance, please contact Dov Hoffman at (888) 344-2704 ext. 207 or dhoffman@columbiatechnologies.com. NEIWPCC's LUSTLine Bulletin Features LIF to Answer the Question: Where's the LNAPL? Most recently, the June 2011 issue of LUSTLine featured an article, "Where's the LNAPL? How about Using LIF to Find It?" written by Paul Stock of the Minnesota Pollution Control Agency (MPCA) Petroleum Remediation Program (PRP). 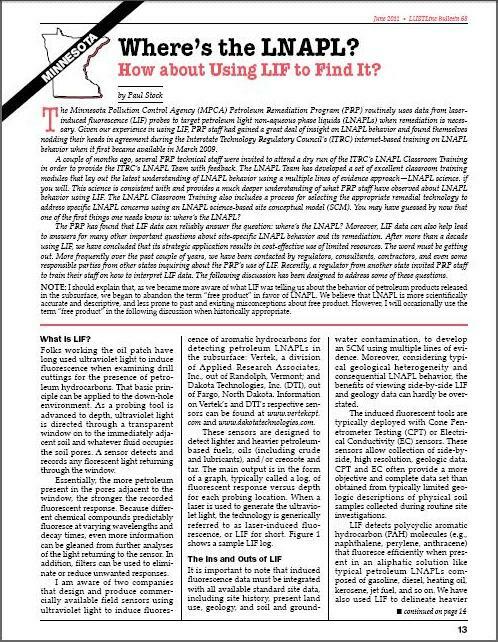 Paul's article provides an educational read on the ins and outs of LIF, the effectiveness of this LNAPL mapping tool, and Minnesota's experience in managing LNAPL risks. Click the following link to read the full article, Where's the LNAPL? How about Using LIF to Find It?. To discuss how LIF technology can be applied at your LNAPL site, please contact Brian McCann at +1-(888) 344-2704 ext. 233.